Home Auto News Want To Travel At Your Own Pace? Rent cabs! Want To Travel At Your Own Pace? Rent cabs! Those who travel a lot will know the importance of being independent and why is it important to travel at your own pace. Although the budget travelers always prefer public transportation over the private ones but the fact remains that your own private vehicle or the cabs give you a sense of independence to do anything at anytime you want. Imagine the scenario that you have to travel to Manali for a trip with your friends or family and you chose to go by bus. Now, there are more than 20 places that demand your attention but since you are in bus you just can’t stop there and have a look at it to your heart’s content. If you had rather took a cab, you would have ample choice to stop see and move. 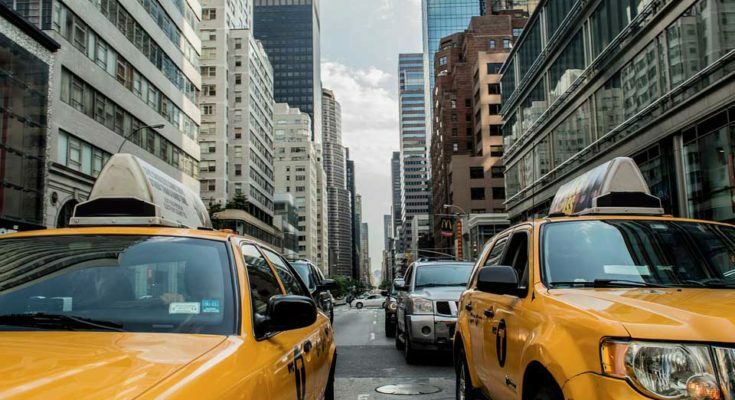 Here are other benefits of choosing cabs over the public transportation while traveling. 1. Comfort: What is the first thing we consider while cab booking? Yeah, you guessed it right, comfort! Not only does it provides you comfort to sleep, play or even listing to your songs at full volume but you can also adjust the various features according to your own interests. Roll the windows or increase the temperature or stop anywhere to have a simmering cold chai, the choice is totally yours. 2. Safety: Although the traveling by public bus gives you a chance to doze off anywhere you want, but there are still complications that could deem it unsafe. And that’s where cabs come into picture! Rent a cab and you will feel much more safer amidst the people you know and have shared some time with. 3. Move at your own pace: Why do we go on vacations? To be free and do whatever we want, right! Booking a cab gives you exactly the same privileges at slightly a higher price but it’s worth every extra penny spent. It help you to chose whatever you want to see at whatever point of time. You just came through a beautiful waterfall that sprouted just because of the monsoons and you want to enjoy it. Stop the cab, stand there and enjoy for as much time you want. 4. Intuitive: Renting a cab helps you change your plan at the last moment and what can be more thrilling than that. You can decide to make your plans without taking anyone’s permission and take a detour that you will remember for a lifetime. For example while going to Bir you come through various other scenic locales like Palampur and Baijnath, so you can stop there explore the nature and then move forward. 5. Fun Factor: Isn’t it fun if you can take your own picnic basket with you while on the road! Make your peanut butter sandwiched inside the cab or stopover at the side of the highway to enjoy a lovely meal with an awesome view of mountains or the waterfalls by the side. Shake your leg or relax for a while! Ain’t it the perfect way to spend a nice vacation with your family? 6. Cheaper: Putting the costs into perspective you will see that sharing the cab cost with friends is much more cheaper than traveling by a volvo bus. Not only is it cheaper but it also gives you various options that you can’t explore on a bus. Cab booking through the internet also gives you a chance to gain cash backs that make your ride much more cheaper and fun. So what are you waiting for? Book your cab and enjoy to the T at any destination you want to go with your friends or family.